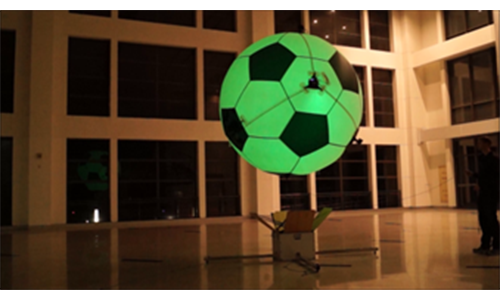 AEROTAIN offers new and innovative ways to interact with audiences. Our flying machine Skye can take virtually any shape and makes brands and products airborne. This allows us to create fun, interactive, and memorable experiences for everyone to enjoy. Thanks to the ability of carrying camera equipment, we can record and stream videos and images of people from above, making advertising more of an interactive experience. Skye is absolutely unconstrained and moves freely, on demand, automated or with our skilled pilots at controls, and at any given time! This is a new and yet to be seen way of advertising that will change the way people experience all future events. AEROTAIN is fueled by a young and driven team with various backgrounds. After working with Silicon Valley startups and US space agency NASA, we are thrilled to disrupt aerial marketing! We offer a full service from project conception to execution.